I thought about this question while watching a talk given by Dr. Deborah Rhodes at a recent TED conference. Dr. Rhodes, the Director of Mayo Clinic’s Executive Health Program, spoke about the possibilities and politics of screening for breast cancer. She discussed her work with engineers on developing a new tool in breast imaging, allowing earlier detection of breast cancer in women having dense breast tissue. Politics and science have fought each other on the benefits of yearly mammography; the collective costs to women of chasing after a falsely positive scan with unnecessary biopsies and worry; concerns about adding radiation to the breasts year after year; the costs, of course always the costs, to insurers and society. When the government looked like it would issue new guidelines eliminating yearly mammograms as a screening tool, you could hear the Sturm and Drang all the way to the Beltway. Policy makers quickly back pedaled, realizing they were reaching for the third rail on a hotly debated and political topic. But when the dust began to settle, researchers were left with unanswered questions about the true effectiveness of screening. Then along comes Dr. Rhodes and her research in competing technology to standard mammography—molecular breast imaging. It’s potential to detect early breast cancer in women with dense breast tissue, at least in preliminary studies, was stunning. She touted this new procedure as potentially better than magnetic resonance imaging (MRI) of the breasts for women with dense breast tissue. Huh? I tried unsuccessfully to remember the last time I received an MRI report on a patient with dense breasts and realized I’ve never received one. Not a single one. Here’s where it gets even stickier. 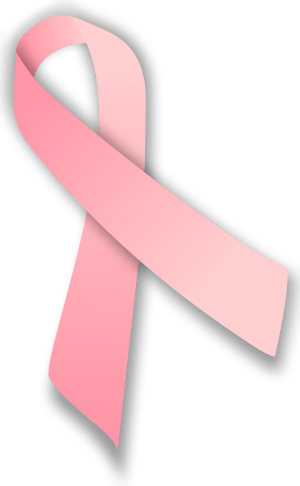 Reviewing many standard mammogram reports from various breast centers, I ran across language stating, “tissue of both breasts is heterogeneously dense. This may lower the sensitivity (italics added) of mammography.” In other words, we might have missed something. But recommendations to do the next best current technology, MRI of these dense breasts, is never mentioned. You would think that would be the next logical step, if we’re truly concerned about finding early breast cancer. After all, there is no more radiation risk with MRI. Is it the cost of MRI—compared to standard mammography—and the inability to get approval by insurance to pay for this procedure? It seems that the patient and their physician are left hanging with a nagging question: now what? The patient and the physician need clear recommendations. It may be too early for widespread molecular breast imaging, but let’s not give women with dense breasts the false security that standard mammography gives them a yearly well–woman seal of approval. If a woman should have an MRI of the breasts, at intervals we can all agree on, then by all means let’s get moving. Physicians fight with insurers all the time for our patients, we’ll just add this to the list. If we’re trying to catch early disease let’s get serious and make our voices heard loud and clear.